A stock markets rally waned on Thursday, with eurozone shares hit as the European Union warned of slowing growth across the single currency bloc. London managed to stay in positive territory on hopes that a Brexit deal would soon be announced, dealers said. Asian stock markets closed mixed, while oil prices edged up. The dollar recovered from Wednesday's selloff in the wake of US midterm elections and as traders awaited the outcome of the Federal Reserve's latest monetary policy meeting later Thursday. Global stock markets had mostly rallied on Wednesday after the US midterm elections produced no major surprises but the dollar had retreated as experts said the result could see the Fed lessen the pace of expected interest rate hikes. 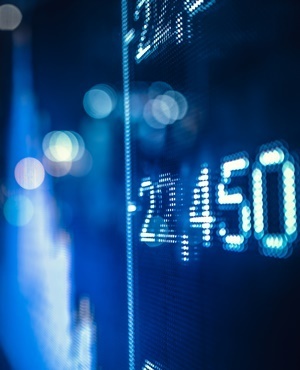 "The post-election bounce was strong (for stocks) but short-lived, with US futures slightly in the red ahead of the open as traders turn their attention to today's central bank announcement," said Craig Erlam, senior market analyst at Oanda trading group. With the Fed not expected to raise interest rates on Thursday, investors will be looking for clues regarding the pace of future hikes - an outlook clouded by Tuesday's midterm elections. The result - which saw the Democrats regain control of the House of Representatives and President Donald Trump's Republican party widening its majority in the Senate - could mean lower pressure on the Federal Reserve to raise US interest rates more aggressively, taking some heat out of the dollar, according to analysts. While the vote was broadly in line with forecasts, the outcome means Trump faces a tough two years before his 2020 re-election bid, with Democrats appearing ready to fight against his tax-cutting, deregulation agenda while boosting oversight of the president's administration. In Europe meanwhile, the EU on Thursday said growth in the eurozone would slow in 2019 and beyond, citing global uncertainty and heightened trade tensions. The European Commission warned also that Italy's deficit would balloon in 2019 owing to a spending boost planned by Rome's populist government that blatantly defies EU rules on expenditure. Elsewhere, oil prices edged up slightly but remain subdued after data showing a surge in US energy stockpiles, although they have been given support from reports OPEC may reduce output again next year. The cartel had started opening the taps again this year after a long-running cap agreement with Russia, which had boosted prices, ended. But with production now rising globally again - and the Iran sanctions seemingly having little impact owing to US waivers - Bloomberg News said ministers meeting in Abu Dhabi this weekend were considering the reduction. "Saudi Arabia and Russia have increased production, and prices have come down $15 a barrel," Hossein Kazempour Ardebili, Iran's representative to OPEC, said. "They have over-balanced the market" and have no choice but to cut about one million barrels a day.